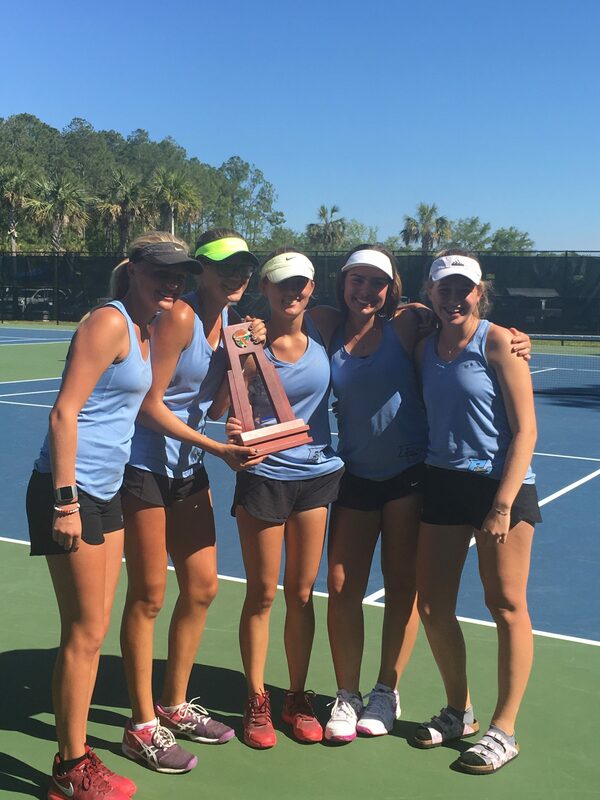 In a suspenseful finals, that had the Sharks facing the Bulldogs at every line, Ponte Vedra girls edged The Bolles School 4-3 to take the district championship. The final team totals were Ponte Vedra 18, Bolles17, Clay 5, Ridgeview 4, Menendez and Orange Park 2 and Bradford 1. Claire Olson and Katya Kelly were both district champions at 2 and 4 singles respectively. Olson and Kelly then teamed up to win the district title at 2 doubles. Seniors Maureen McCormack and Alyssa Hensley displayed extraordinary mental toughness in a 1-6, 7-5 (10-7) win over the Bolles’ 1 Doubles team. The district champions faced Raines in a regional semifinal match, winning 4-0. 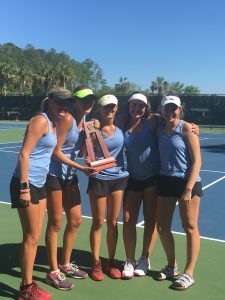 The Sharks will resume play for the regional title and trip to the state finals in a match on Thursday April 26.